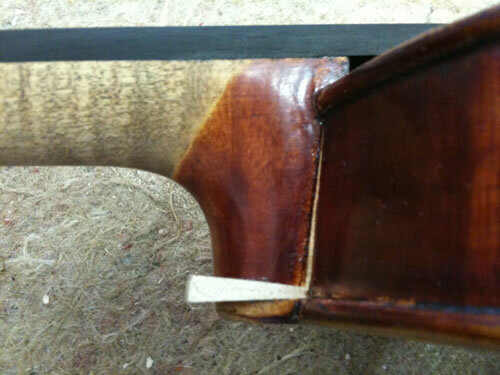 Anthony Nickolds brings the master craftsman skill he applies to his new made instruments to the repairs and renovation of other violin family instruments. He has been restoring repairing and renovating instruments since 1980. This has given him a wealth of experience in bringing the violin, viola or cello back to its optimum condition for ease of playing and performance. 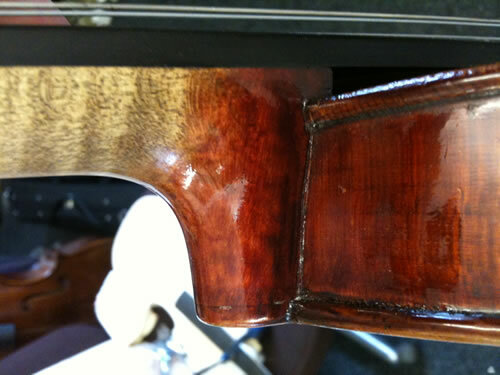 Advice is given freely on all aspects, from minor adjustments such as sound post adjustment and fit, new peg and bridge fitting to major restorations like neck grafts, sound post patches and bushing of the scroll. With many many more repairs in between. Bow rehairs are carried out using only the best white hair to enable you to achieve the response you want from your instrument. Recambering and straightening bows, new screw and eyes, new leather thumb grips, whalebone and silver lappings all completed to the highest standards to compliment your bow. As you can appreciate costing of repairs is as individual as your instrument and we invite you to contact Anthony to discuss.